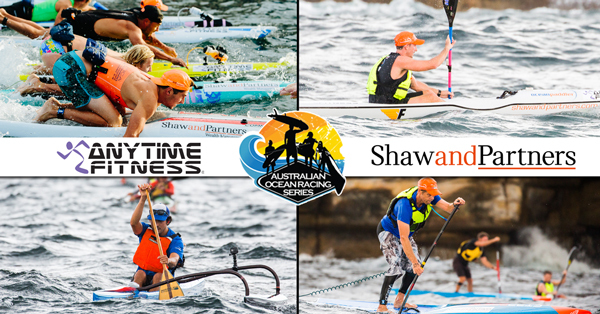 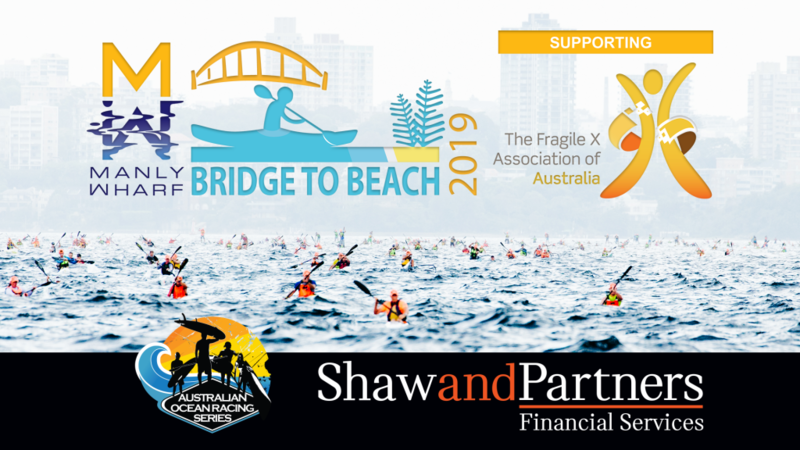 Online entries are now open to Australia’s favourite paddling race, the Manly Wharf Bridge to Beach. 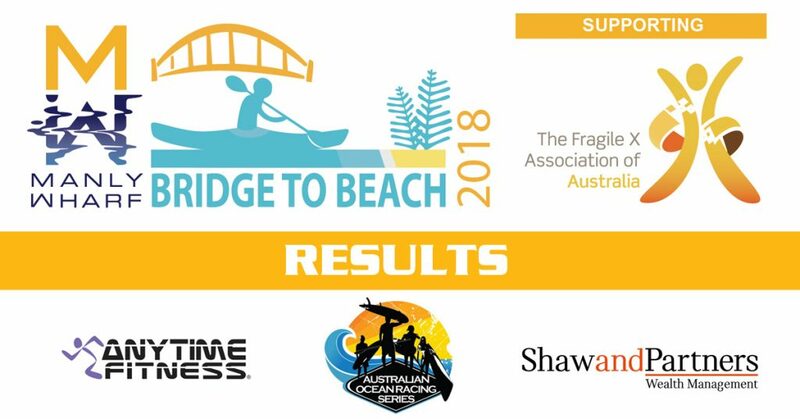 Well done to all competitors in the 2018 Manly Wharf Bridge to Beach. 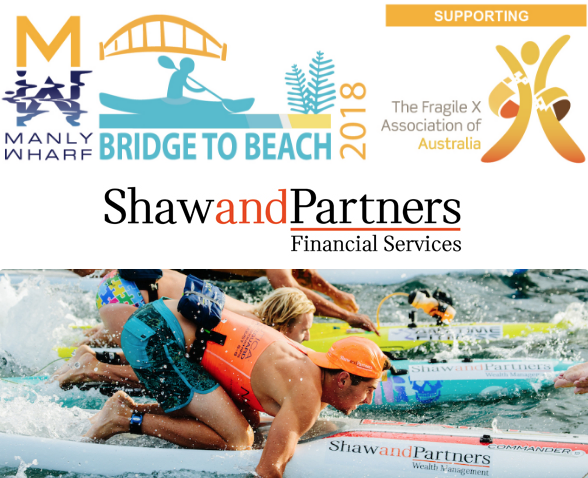 For the second year running, Shaw and Partners has generously committed to match, dollar for dollar, donations made to the Manly Wharf Bridge to Beach event charity Fragile X Association.